Ruth started her career with Brian Mooney in Queen Street in 1982, purchasing Brian’s Waterside Practice in 1996. A short move to Clooney Terrace followed in 1999, which allowed more space for expansion and the introduction of the newest technology into the Test Rooms. 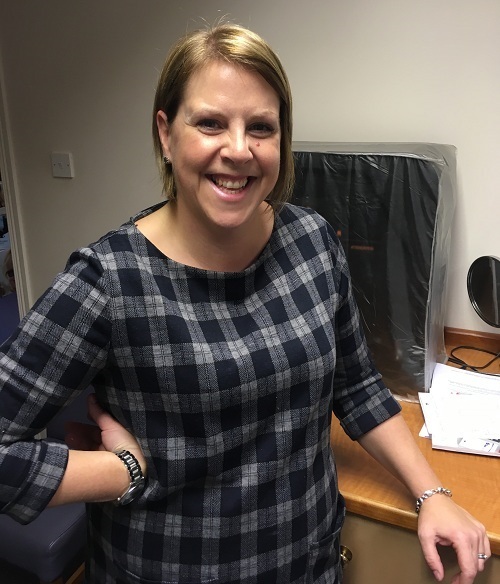 Additional investment has followed year on year, driven by what Ruth feels to be delivering the best possible patient experience and putting genuine eyecare at the heart of all we do. 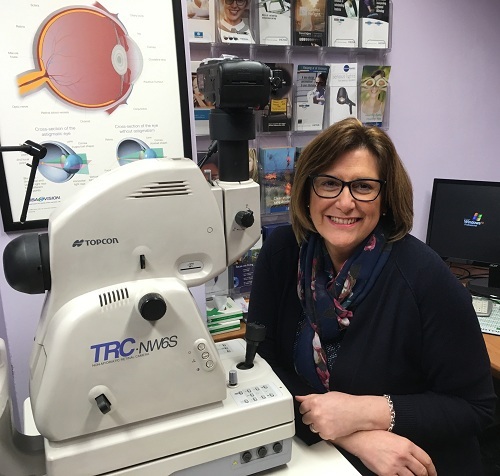 Ruth’s unashamed interest in eyes and attention to detail has taken the practice into areas not commonly accessible at a normal high street practice. Special interests include Contact lens fitting, Dry Eye Management, Medical Retina, and Diabetic Eyecare. 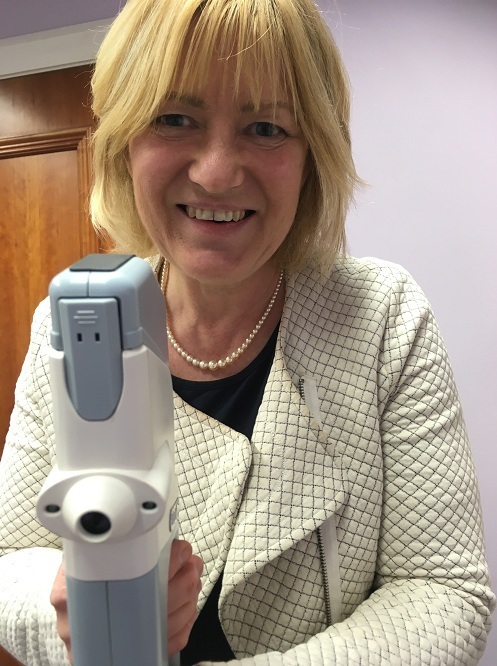 Ruth is an accredited Diabetic Retinal Screener for the Western Health and Social Services Board. Gavin qualified from Coleraine University in June 2005, joining us the following January. 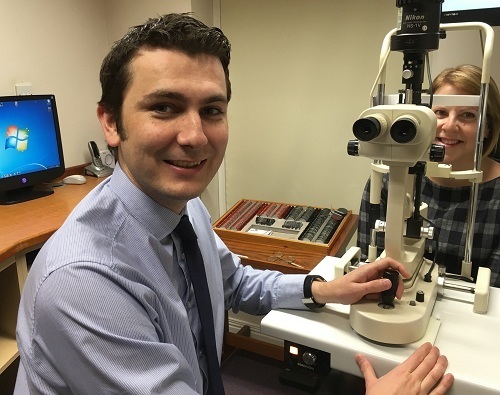 Gavin has special interests in dispensing of complex lenses, contact lenses and children’s visual development. The latter has progressed into the study of reading and learning difficulties associated with visual or oculo-motor problems, and the use of coloured overlays, colorimetry and specific tints to help relieve visual stress and migraine symptoms. As his other special talent includes IT, he has inherited the lions’ share of keeping our technology updated and working reliably – no mean feat with 10 computers, networked systems and specialist programmes and software to look after! Diane has been here since 1985, and is like the oil that keeps the engine running! As a mother of two sports mad boys, she fully understands the needs of busy Mums and how important good eyesight is to all the family. Karen’s broad smile is likely to be the first thing you see when you open the door! A fashionista with an eye to quality and value, Karen loves colour, style and looking and feeling great in glasses. Karen also organises and assists Gavin on our school visits programme. 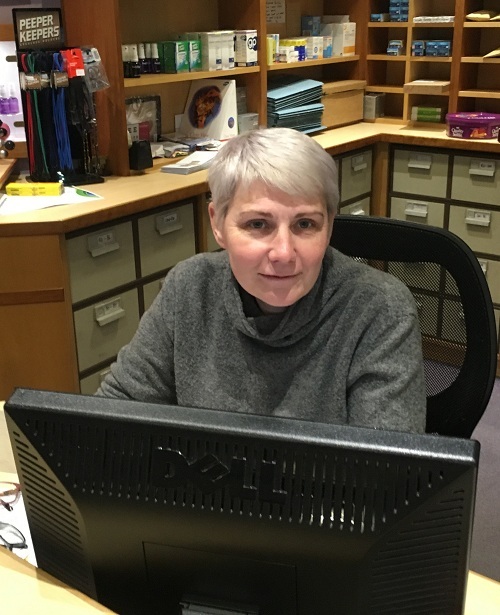 Barbara is our newest recruit, fresh from over 20 years in quality customer service roles, and is ready, willing and able for a new challenge! She is very much looking forward to meeting all our old (and not so old) clients and assisting the team while she's learning the ropes. Barbara's married to a petrol-head and Mum to two mini petrol-heads.